The Conti team has been working on the Fayetteville Outer Loop project near Fort Bragg, North Carolina since 2014, where they have been working with Amec Foster to rapidly identify and coordinate the removal of discarded military munitions (DMM) and unexploded ordnance (UXO) found on the job site. A portion of the project to construct a new 6-mile stretch of the I-295 Outer Loop runs directly through Fort Bragg, an historical Army post that has been in continuous operation since 1918. For nearly 100 years, Fort Bragg has been used extensively for military training exercises. Some of the munitions finds have included artillery rounds, explosive detonators and small arms ammunition. 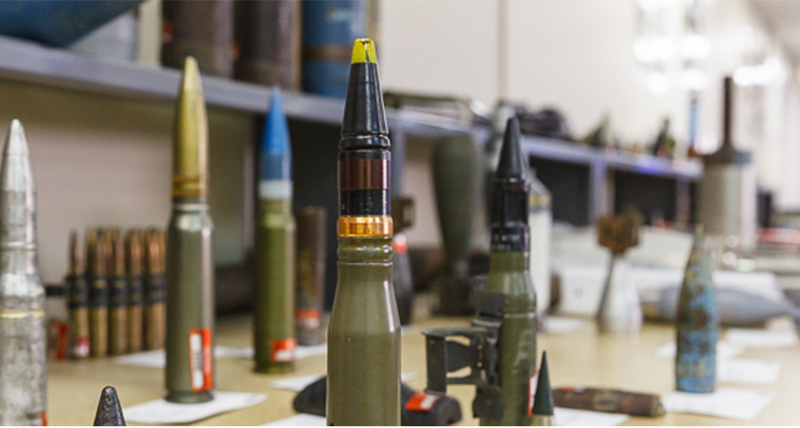 Each time UXO is discovered and identified, all personnel are evacuated from the site and the U.S. Army Explosive Ordinance disposal team disposes of the material.